An art-deco building that was closed in 2009 will be licensed to local community groups. AN ART DECO building built in 1931 and used as a Garda station until 2009 was yesterday handed over to the community of Ballymote in Sligo. The building was designed by renowned Dublin Architectural partnership Beckett and Harrington, originally as a branch of the Munster and Leinster Bank. It was closed as Ballymote was selected as a regional Garda centre, building a state-of-the-art new station. It will now be licensed by the OPW to Ballymote Tidy Towns and Tourism. The main aim of the group is to provide a community facility for the promotion of tourism, arts and culture within the region. The group also aim to create and maintain employment through schemes such as the Rural Social Scheme funded by Sligo Leader. 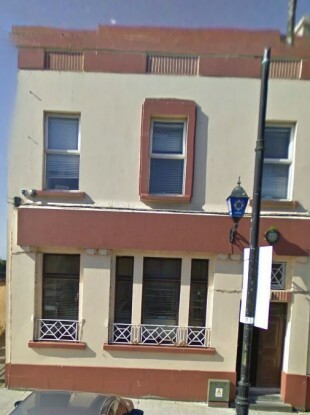 The former Garda station will now be known as the ‘Municipal Building’. It will be used as a tourism office, art gallery and meeting area for a number of community groups. Junior Minister with responsibility for the OPW Brian Hayes was on hand yesterday and said that this handover would be the beginning of a number of such moves. “Back in March of this year, I announced my intention that community groups could submit expressions of interest on how, in the event that no other State use or sale is possible, their local group might utilise these assets. I congratulate Peter Mullin and Noreen Cremin and all the residents of Ballymote and its environs for their sense of community and imaginative spirit and I’m sure that they will put the building to excellent use. Hayes said in March that plans to sell off some of the 139 closed Garda stations was “common sense”, but it was later revealed that the State cannot find uses for closed stations. Email “OPW hands former Ballymote Garda station over to local community ”. Feedback on “OPW hands former Ballymote Garda station over to local community ”.